Japan’s Crown Prince Naruhito cautioned that Japan should “humbly and correctly” look back on its past. 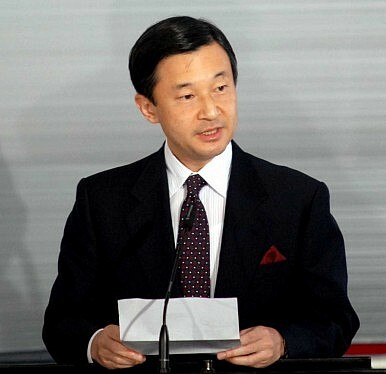 In a rare foray into a controversial political issue, Japan’s Crown Prince Naruhito, 55, told reporters on the occasion of his birthday that he felt that it was critical for Japan to “look back humbly on the past.” Naruhito, heir apparent to Emperor Akihito, noted that while “[he himself] did not experience the war … it is important today, when memories of the war are fading, to look back humbly on the past and correctly pass on the tragic experiences and history Japan pursued from the generation which experienced the war to those without direct knowledge.” The statement, which will be scrutinized by political leaders in China and South Korea, was read by Japanese observers and netizens as a rebuke to calls by conservative Japanese politicians to present a sanitized and sympathetic version of Japan’s history to the public and in textbooks, sidelining wartime atrocities committed by Japan. Debates over Japan’s wartime history have been a major feature of Japanese politics in recent years. The issue has intensified in importance since Shinzo Abe, a right-wing conservative, was elected prime minister in late 2012. Abe, who controversially visited Tokyo’s Yasukuni Shrine, a site honoring Japan’s war dead (including several Class-A war criminals) in December 2013, has raised anxieties over historical issues in Northeast Asia. Chinese and South Korean leaders perceive a lack of repentance in Abe’s views of Japan’s history. Additionally, given changes in Japan’s defense posture since Abe’s return as prime minister, China fears resurgent Japanese militarism. The crown prince’s comments will undoubtedly carry some weight regionally, but ultimately, it is Japan’s political leadership that will maneuver the country’s diplomacy. The Imperial House of Japan largely carries symbolic power when it comes to issues of foreign policy. Occasionally the Emperor and Empress will make a foreign visit (as they did in late 2013 to India) to build goodwill. Naruhito’s comments come as the region waits to see Abe’s statements on the 70th anniversary of the conclusion of the Second World War. In recent weeks, Abe has emphasized that his government will not break with past statements expressing remorse for Japanese actions during the war. Despite the symbolic nature of its political role, the Imperial House continues to exercise a major influence over Japanese public opinion. “I hope this year will be an opportunity to take the preciousness of peace to heart and renew our determination to pursue peace,” the crown prince told reporters. Curiously, Abe’s own party, the Liberal Democratic Party, in its most recent proposal for constitutional overhaul, has suggested reverting the emperor’s role back to that of a “head of state,” as during the Meiji era. If the LDP succeeds in its bid to reform the constitution, the party and Japan’s conservatives could face the prospect of Naruhito one day leading the country. Japan’s New Imperial Era: What’s in a Name? After the highly anticipated new imperial era was unveiled, its carefully considered name – Reiwa – has attracted criticism.